The career of Penrith forward Sam McKendry is in the balance after it was revealed he’s suffered a serious knee injury for the third consecutive season. 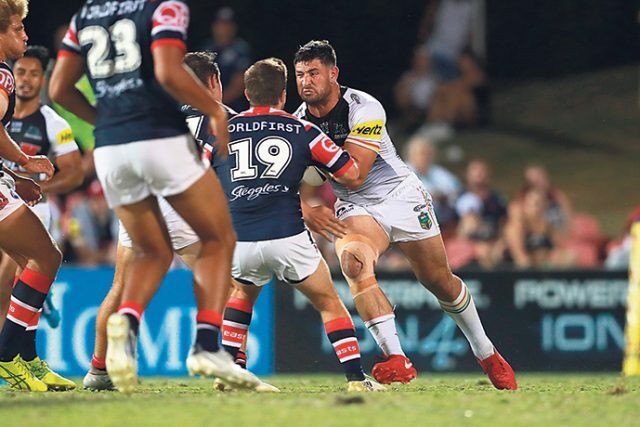 The 28-year-old went down in the 42nd minute of Penrith’s win over Souths on Saturday, but managed to get back on his feet and play out the game. Scans have since revealed he tore the ACL in his right knee – the same injury he suffered in both 2016 and 2017. Panthers boss Phil Gould said it’s a massive blow for the former New Zealand Test front rower. “It’s unbelievably sad news for Sam and his family,” Gould said. “He has worked so hard on overcoming this injury before. It’s a huge blow for our club as well. Sam really looked like he was getting back to his best.